I tweaked the screenshot gallery a bit. Now it should be a lot easier to search, find and upload pictures. Check it out now. 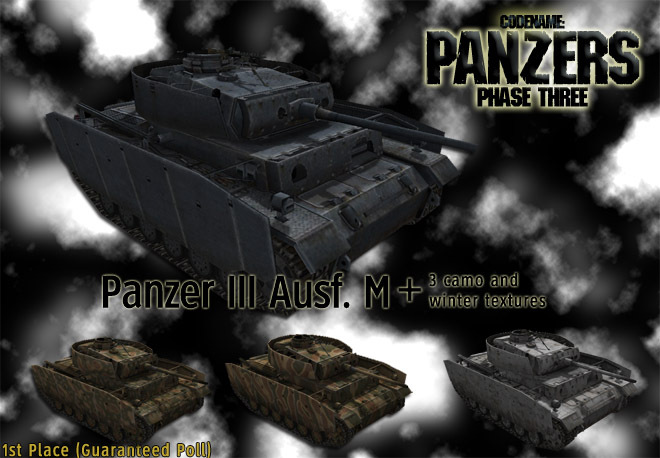 This update fixes your reported problems and adds a hand-full of units, like Panzer 38(t), Sd. Kfz. 222, Sd. Kfz. 251/9 and many others. Some new objects and a new scenario created by Lucas_de_Escola are also included. To keep your game up-to-date it is strongly advised to apply this update as it fixes a lot of bugs. To see the whole list of updates and fixes click here. To download this update click the download picture below or navigate through the main menu. Some of you recently voted on a "guaranteed" poll in which you could select a certain unit that you would like to see in the game. And now, here are the results. This new unit resembles the newest tools currently available for PANZERS and has the newest sound/graphic effects integrated. Also you will find an English "unit.ini" file that has all the information of the new units integrated (the version of the CP3 Beta which will be released very soon). The 1st place went to Panzer III M, so here it is. If you spot any bugs please report them in the Forums. We wanted to take this opportunity to wish everyone out there a very merry Christmas & fantastic New Year. We have always believed it’s our great community that makes us so special and sets us aside from the rest, so we really wanted to wish everyone out there all the joy, peace, great memories and love of the season! 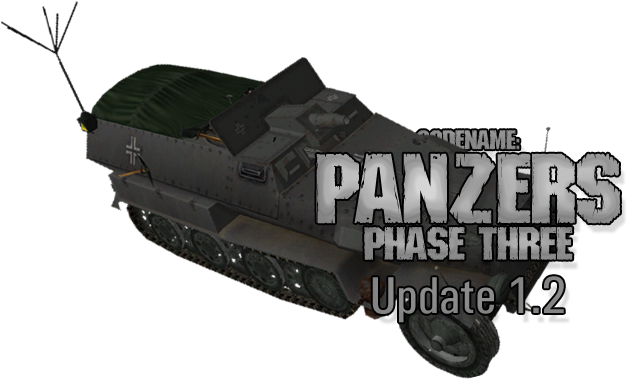 The updated (0.195) version of the timetraveller's PANZERS Unpacker has been recently uploaded here.